A pre-war Philco Transitone with the All American Five circuit. In bygone days, before all of the computerized wonders of modern technology, one of the favorite gifts that one could receive during the holiday season was a shiny new radio. The recipient's age was of no matter, it could be a bright red Catalin table radio for grandma, a Snow White radio for little Susie, or a Lone Ranger set for little Johnny. 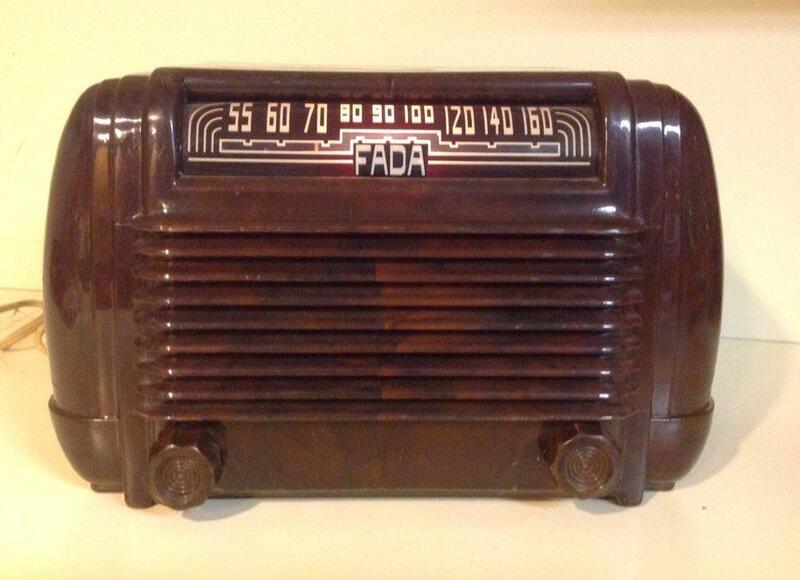 By the late 1930s, radios had become relatively small, lightweight and reliable. Although the grand console floor model, with its magnificent sound and often the ability to receive international shortwave broadcasts would remain popular until World War II, the little table sets were rapidly gaining popularity. They were often purchased as second sets, for the convenience of having a radio on the breakfast table, while the big console remained in the living room. Battery portables had their own following with those who wanted to remain in the know while on the go. But what technology made all this possible? Several factors contributed, including the trend towards miniaturization of tubes and other components, but primarily a circuit, which would become known as the "All American Five," because it gave good performance with just five tubes. Prior to its development, radios often contained seven to ten vacuum tubes, more in some cases, and all of the associated components needed to make them work. Edwin Armstrong's heterodyne circuit gave the radio the sensitivity and selectivity to function with a small built-in antenna, but it was the development of a specialized tube known as a pentagrid converter that allowed engineers and manufacturers to greatly reduce the size of the sets. 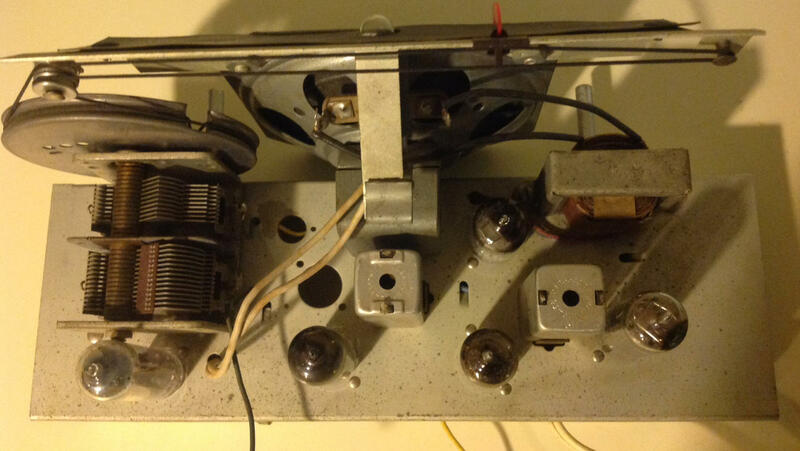 The chassis of the pre-war Philco Transitone, with larger tubes, c. 1941. The thin wires to the left go to the loop antenna that is mounted inside the cabinet. The tube takes the place of three conventional tubes, and I'll try to describe how it works in layman's terms shortly, but first a bit of its colorful history. Although a number of highly specialized vacuum tubes were developed over time, the pentagrid converter probably had the most noticeable impact from a consumer's standpoint, and by far was the most heavily produced specialty tube ever made. Millions of radios would be built using it. One notable thing about the pentagrid converter is that it evolved, rather than was invented. Donald G. Haines, an engineer with RCA applied for a patent for the tube in 1933, but variations of the tube were already on the market. 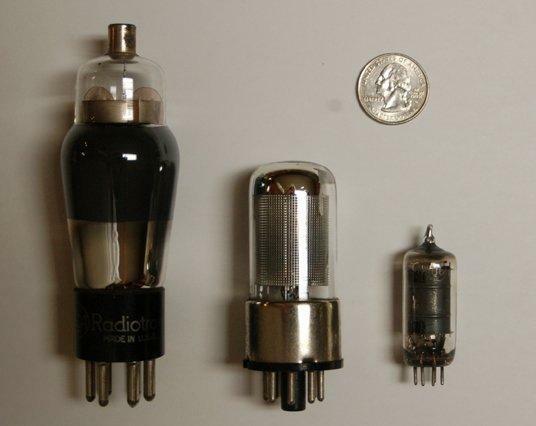 A post-war Fada, same circuit, smaller tubes, c. 1950. The patent office was apparently in no hurry to grant a patent for just adding yet another grid (the element in a tube that controls the flow of electrons) to a tube. They finally granted the patent in 1939, but by then just about every radio was using the tube and every tube manufacturer was cranking out thousands of them. A pentagrid patent was also granted in the U.K. in 1935, but by then U.K. tube maker Farranti had already been producing them for at least two years. I could not find any data suggesting that either party profited from the patents or that any litigation resulted from them. Prior, engineers took what manufacturers had available, and designed radios around these tubes and components. The pentagrid converter marked a turning point in that it was designed to maximize the potential of an existing circuit (Armstrong's heterodyne topology), rather than the circuit being designed to work with existing tubes. So what does it do? The heterodyne circuit requires a radio frequency amplifier to increase the weak signal from the antenna, a local oscillator which generates a reference frequency typically 455 kilohertz above or below the desired signal, this is what you tune when you spin the dial, and a mixer which combines the amplified radio signal with the reference to convert it to a third frequency (typically 455 kilohertz), which then can be filtered and greatly amplified. Hence the name pentagrid, meaning five grids, and converter, describing what it does. It amplifies the weak radio signal, creates a variable reference signal, and mixes them together to “convert” the received signal to a new frequency that can be filtered and amplified. This previously required three tubes. The pentagrid converter performed all three tasks as a single tube. A true single tube, not three tubes combined in one glass enclosure. It did the job so well that it outperformed the original three tube design by a substantial margin. Inside the post-war Fada, both the tubes and other components such as the square 455 kHz filters, have gotten smaller. Tube count was further deduced by combining the detector, which extracts the audio from the radio signal, and an audio preamplifier. An additional diode was added to this combination to produce a voltage proportional to the strength of the received signal, which would be used by the automatic volume control circuit (invented by Alan Hazeltine) to keep the volume constant between local and distant stations or when the signal faded due to atmospheric conditions. Tube lineup. As technology advanced, tubes got smaller. The end result was a five tube design consisting of a pentagrid converter, an intermediate frequency amplifier (for the 455 kilohertz filter), the combined detector/audio preamplifier, the audio output tube, which provided power to the loudspeaker, and a rectifier tube for converting AC to DC to power it all. With minor variations, almost all manufacturers used the same combinations of tubes. During the early 1930s, they were the larger type depicted on the left, by the late 1930s and leading up to the war, they were like the one on center, and post-war they were miniature tubes as depicted on the right. 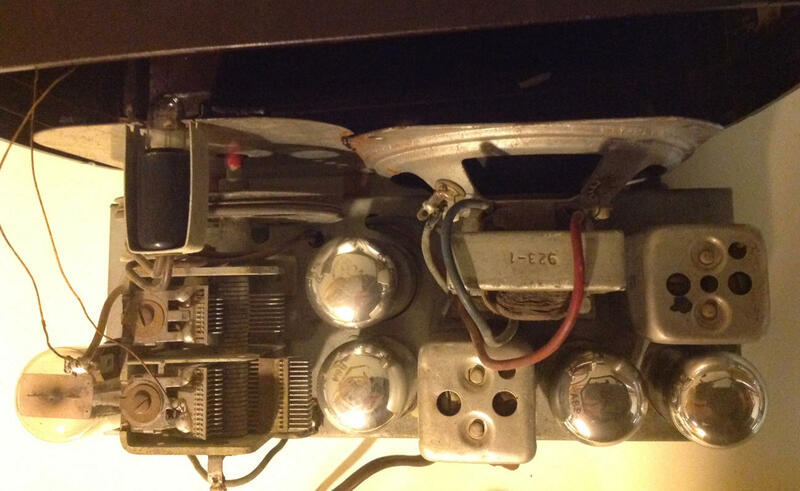 For techies, the pre-war mix was typically a 12SA7 pentagrid, 12SK7 Intermediate amplifier, 12SQ7 detector/ preamp, 50L6 audio amplifier and 35Z5 rectifier.  This standardization revolutionized the radio industry. Component manufacturers could now make the tubes and support components in vast quantities, resulting in falling prices. This resulted in affordable radios, some selling for under $20, which helped pull surviving radio companies out of the Depression. From an engineer’s viewpoint, the All American Five was a simple yet elegant design. From a consumer’s viewpoint, not even knowing what was in the box, it was both radio perfected, and radio affordable. Millions were made. The design worked so well, it remained largely unchanged from the mid 1930s until the demise of tubes in the early 1960s, and even then, its concept carried through into transistor sets. The circuit became known as the All American Five, although it was used, to a lesser degree, in Europe. European consumers in general demanded shortwave reception, and some parts of Europe also had additional stations on a very low frequency band below the U.S. standard AM broadcast band. These features required additional tubes, although these radios did make use of the pentagrid converter. In the U.S. most consumers were happy with just broadcast band reception or already had shortwave on their living room console radio. 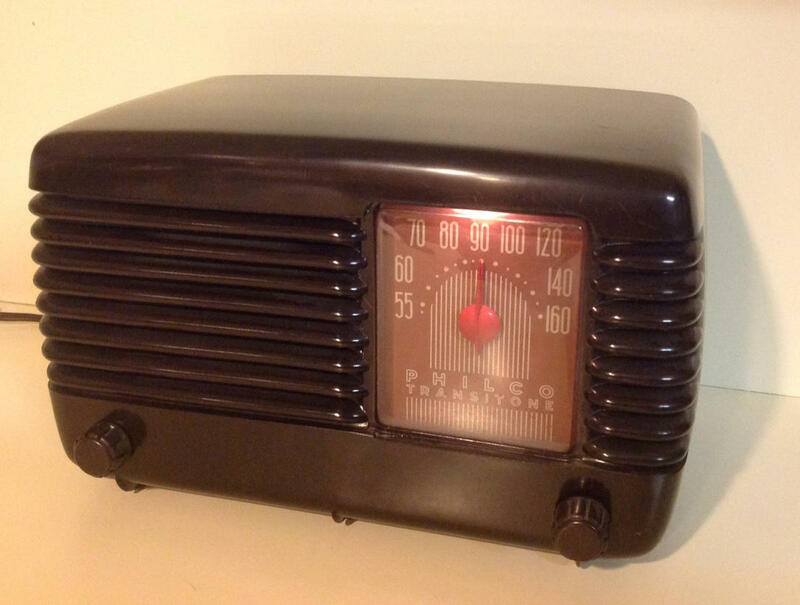 If you come upon a vintage table radio made between 1933 and 1963, regardless of the brand, chances are good that is uses the “All American Five” circuit. Post-war, the smaller components and the simplicity of the All American Five allowed manufacturers to more room for other components, such as a clock movement. 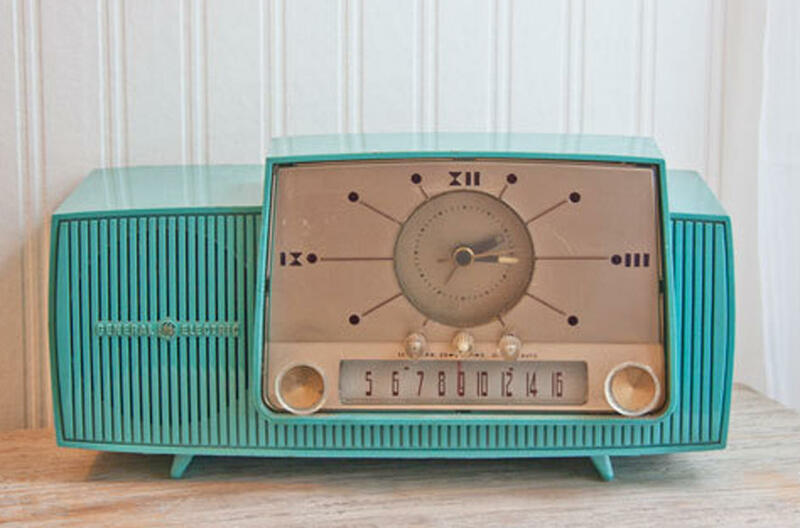 This gave birth to the clock radio, which gave consumers the choice of waking up to the morning news or music. It was a nice alternative to the clanging bell or harsh buzzer of the bedside alarm clock. By the mid 1950s, almost every bedroom had one. Collector’s Tip: If you acquire almost any table radio made after 1935, it will almost certainly contain the All American Five. The circuit was so common that in and of itself adds little value to the radio, so pick out a radio that is unique, interesting, or holds some nostalgic value, such as one that your grandmother had. The Philco Tranistone, depending on condition can be had for $25 to $125 unrestored, about double for a fully restored one. The original selling price (in comparison to others from the same period) will give an indication of how well the radio will perform. The circuit was the same, but the quality of the components was reflected in the cost. The more expensive ones typically had better loudspeakers, name brand tubes, better antennas and particularly, better 455 kHz filters. The Transitone, for example, does a much better job of filtering out electrical noise coming in through the power line than the Fada does. Restoring a set requires moderate skill and most of these sets had what we call a “live chassis,” that is, out of its cabinet the chassis itself may be live and represent a shock hazard to someone who does not know how to handle it properly. Most of the tubes and small components are still available.